Menozac Menopause Supplement: Does this product really work? There are several treatment options available for the much-feared menopausal symptoms. The gold standard for menopause symptom treatment is still hormone replacement therapy (HRT). However, it is not the best option for many women because it has been found to increase risk of serious health problems. HRT has been shown to increase risk of certain types of breast cancer, heart disease and stroke. There are also many side effects from HRT. This is why many women are looking for alternative treatments. However, these treatments usually only have a very minimal effect on providing menopause relief. The most popular alternative treatment for menopausal symptoms is the use of menopause relief supplements. Sadly, most products are scams from unprincipled companies that just want to make a lot of money. Most products claim to be the best or number one but only very few are actually effective in providing relief to menopause symptoms. In this article, we will closely review one such product called Menozac which claims to be the #1 natural menopause relief supplement. What Are The Ingredients In Menozac? 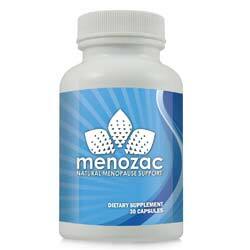 Menozac Menopause Relief only contains natural ingredients. Soy seeds which contain natural estrogens or phytoestrogens. This ingredient helps restore the balance of female hormones particularly estrogen. Black cohosh which is among the most popular herbs for addressing menopausal symptoms. It has analgesic and anti-inflammatory properties. Damiana leaf which helps promote relaxation and reduce stress. Menozac – Does It Really Work? Menozac Menopause Relief is completely natural and it is especially formulated to ameliorate the symptoms of menopause. 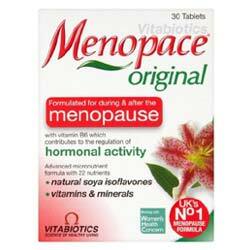 It is currently one of the most popular menopause relief supplements being sold online. It works by helping balance female hormones which are the main cause of the symptoms associated with menopause. It uses herbal extracts and vitamin E to reduce the severity of menopausal symptoms. Menozac Menopause Relief is made from all-natural ingredients and doesn’t contain harsh ingredients that can cause side effects. This product helps people relax. Although there are no reviews online backing up this claim. Menozac Menopause Relief is not clinically studied for effectiveness or safety. The product’s website is not impressive and doesn’t contain all the important details on the product and its manufacturer. You can read some negative reviews on this product online. The majority of feedback says it doesn’t really work. Many customers experienced difficulty with the money-back guarantee. Comes from an unknown manufacturer. The product’s website doesn’t appear to be professional (it looks spammy). Other than the facts that Menozac Menopause Relief is completely natural and comes with a money-back guarantee, it has no other positive feature. Overall, this is not a good product that is recommendable. The website is not impressive and doesn’t contain much information about the product or its manufacturer. For a product claiming to be the #1 for natural menopause relief the product fails in many aspects. There are many better natural menopause supplements worth trying.